It doesn’t get much better than a trip to Disneyland, UNLESS you are getting FREE things while you’re there! Did you know there are several items you can get for free while at the Disneyland Resort. Here are the top 10 FREE things Disneyland has to offer!! 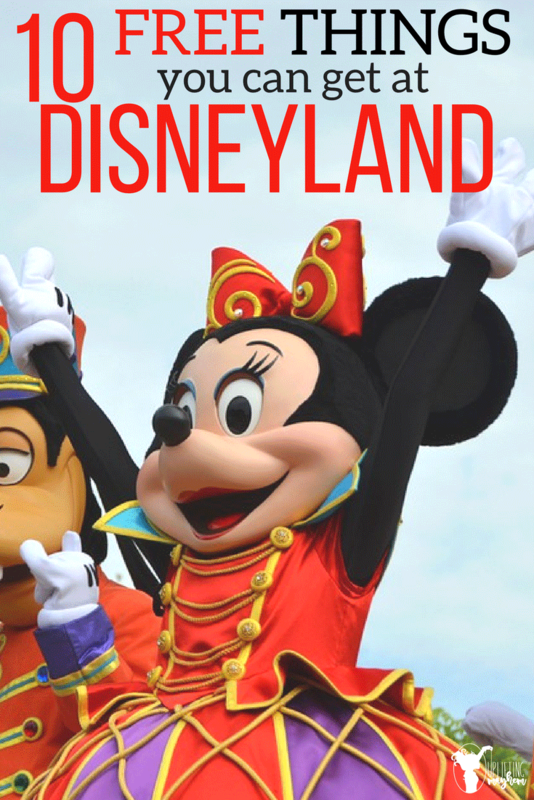 Want to know what you can get for free at Disneyland?? Here is a list of 10 items that are free. The first thing you need to do is book your trip through Get Away Today. Not only will you get the lowest price but you can also get an extra $10 off of your Southern California vacation package by using promo code Double15. So what’s free about this besides all the money you’re saving? Get Away Today will also send you a free lanyard for each adult and a free sling bag for each child ticket! These definitely come in handy during travel, especially the lanyard so you always have a safe place for your Disneyland tickets and Fastpasses. Are you going to Disneyland during a birthday, anniversary, for your first time or just for fun? Then you need a celebration pin! You can pick up a free pin at City Hall in Main Street U.S.A. to show everyone what you are celebrating. This is a fun way Disneyland celebrates with you on your vacation, and you’ll get lots of attention from cast members while wearing it. 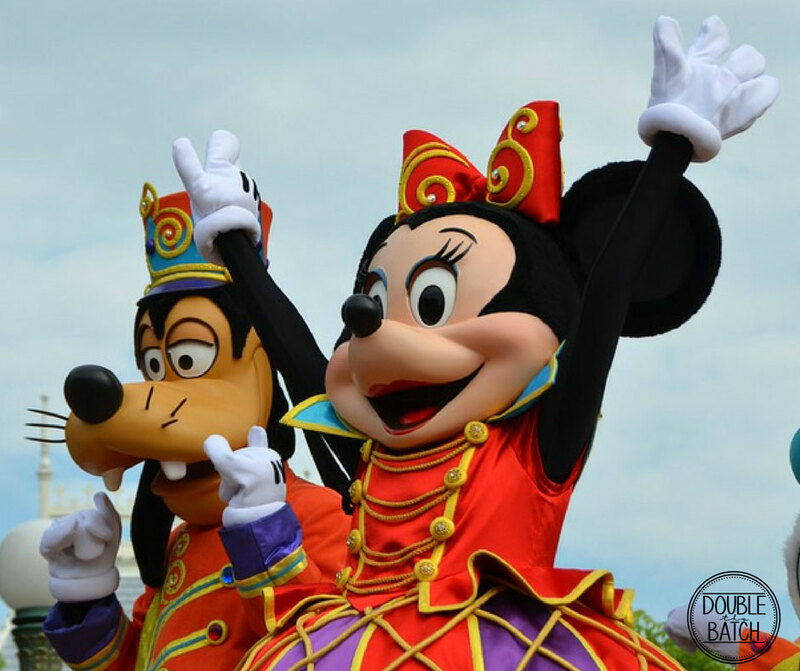 A lot of people think that Fastpasses cost extra but the truth is they are actually FREE! A Fastpass is a magical ticket that you can print off at different machines through the park that gives you access to the faster line at some of your favorite rides, during certain times. These are a must, especially during peak seasons at Disneyland. Do you have a sweet tooth in your family? Then the Ghirardelli Soda Fountain & Chocolate Shop is the place for you. Not only can you buy delicious chocolate treats while you’re there but they also give you a free chocolate square while you’re waiting in line! Make sure to stop by this sweet shop located on Pacific Warf at the Disney California Adventure park to settle that sweet tooth craving. If you’re heading to Disneyland, you’ll want to grab a free park map. Not only will this help you get around but it can also be a great souvenir to take home with you. Another free map is available at the end of the Jungle Cruise ride. Just ask your Jungle Cruise Skipper at the end of your ride and they’ll give you one! When visiting the Cozy Cone Motel in Disney California Adventure, be sure to grab a free pop”cone” sample. They have unique flavors like bacon or dill pickle along with more common flavors like cheddar cheese. Not only are you getting delicious free popcorn but it might help to sample one of the more unique flavors before you buy a full order. The cast members you see throughout the park are not only helpful, knowledgeable and friendly but they are also very giving. Ask any of them for a free sticker and they would love to give one to you and any of your little ones. We all love meeting and taking pictures with our favorite Disney characters but a free signature from them can make it even better. Don’t forget to purchase or make an autograph book from home so you can collect free signatures from all your favorites. You can get thirsty from all the walking around and magic you are experiencing while at the Disneyland Resort, so what better way to quench your thirst than a free cup of water? It can be pricey and inconvenient to buy and carry around a water bottle so be sure to drop in at any quick service restaurant and enjoy a refreshing cup of water. Have you ever wondered how the artists create all of our favorite Disney characters that we see in the movies? Stop by the Animation Academy and find out! Here you are given a mini art lesson on how to draw one of the characters and the best part is… you get to a keep your amazing artwork as a souvenir, for free! Now that you know the top 10 things you can get for free at the Disneyland Resort, it’s time to lock in your savings with a package from Get Away Today. Use promo code Uplifting10 for an additional $10 off of your Southern California vacation package and let them know that Double the Batch sent you!